Comment: Contact me at xxxxxxxxxxxx. Thanks. Comment: Despite recent installation of new furnace, home is uncomfortably cold this winter, heat unevenly distributed. House built in 1950s , not properly insulated. We require a thorough professional examination and estimate for improvements. Comment: Looking for a home inspector. Comment: Roofing, Siding, Rainspouts, etc. Comment: I would like to get an estimate for zip code 21286. We own this home, we are wanting to have a general home inspection. Its around 2500 sq feet, home built in 1962. Comment: I need to have someone Inspect Home Rehabs . And this will also be for Inspection draws. I need you to inspect and fill out the Inspection Forms . This is like a Inspector to act like Project Manager for Rehab Property Residental Renovations. So every time and Contractor needs something inspected I will call you for the Inspection Draws. Comment: It is a three bedroom duplex house. I have rented a room in my house and I would like to rent the second room. I need an inspection report to register with the Baltimore City Rental Housing Registration. Towson Home Inspectors are rated 4.70 out of 5 based on 2,082 reviews of 58 pros. 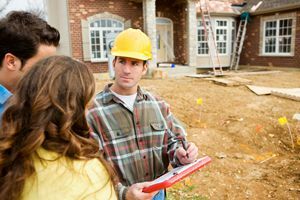 Not Looking for Home Inspection Contractors in Towson, MD?